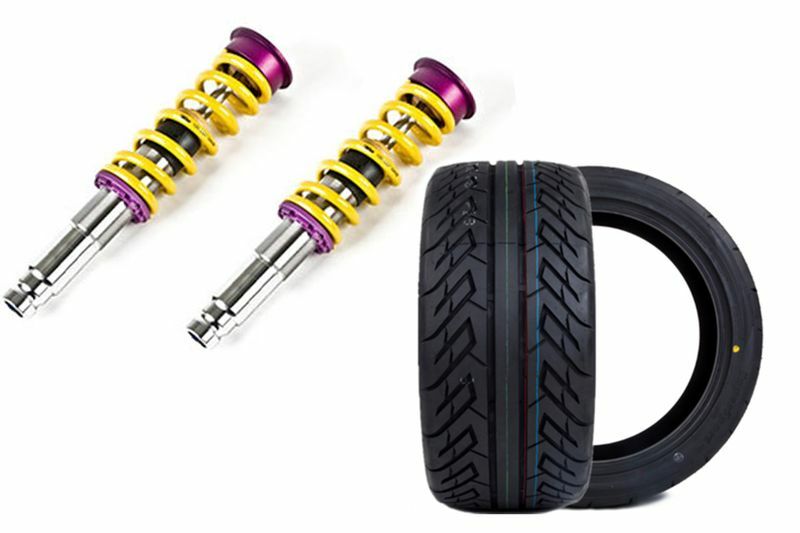 Home / Automotive / News / Coilovers VS Tyres – which option makes your car faster? Wanna go faster? In this episode, the Mighty Car Mods boys do a test to see if your money is better spent on coilovers or tyres, and how much difference these mods really make to the lap times of regular street cars. Usually, your budget doesn't allow for getting performance tyres as well as coilovers. But first, you'll have to decide what is best for you and your driving style. Coilovers give a much better stance as well as a substantial improvement in handling, but with that said, what about grip? Mighty Car Mods puts this exact question to the test by getting two cars, Toyota 86's, that are the same year model with very similar mileage and both completely stock. They then organise a set of coilovers for one car with cheap tyres, and then stock suspension with high-end performance tyres on the other and proceed to do some lap times with a professional race driver at the wheel, giving a fair test to both car setups. Take a look at the video below to see which set up works the best, coilovers or professional tyres. Car Mod Mistakes... Don't Be That Guy! Video: 6 Things You Should Unlearn From Your Driving Test! Stop Changing Your Tyres So Early!